When the museum first opened its doors on February 1, 1922 as the Akron Art Institute, it was located in two borrowed rooms in the basement of the public library. The institute had severely limited financial resources but ambitious founders. They hoped that in addition to offering art instruction and exhibitions, the institute would eventually possess a permanent home and a collection of historical and modern international art. Volunteers were the sole staff until 1924, when city support made it possible to hire a professional director. The Great Depression tightened finances and ended City funding, forcing the institute to again rely entirely on volunteers from 1931 to 1945. It functioned much of that time in borrowed spaces as an art center, offering classes and exhibiting mostly local artists. The collection was small, eclectic containing archeological artifacts and decorative as well as fine art and composed entirely of gifts. In 1937 the institute moved into its first permanent home, an historic mansion. Just four years later, a disastrous fire destroyed the building and much of the collection, threatening the institute's existence. It arose after World War II, phoenix like, from the ashes with a professional staff and a new focus: fine art and design. Strengthening the fine art collection became a goal, leading to the first purchases of art. To educate the general public and encourage collecting, major loan exhibitions were organized, including contemporary design shows that garnered national attention. A professional school emphasizing the design arts was established. In 1950, the institute moved back to where it had begun, the former public library, although this time it renovated and occupied the entire building. In the mid-1960s, a re-examination of the institute's mission began. Over the next fifteen years, the institute was transformed from a school and art center into a museum. When the school closed in 1965, fine art became the institute's primary emphasis. 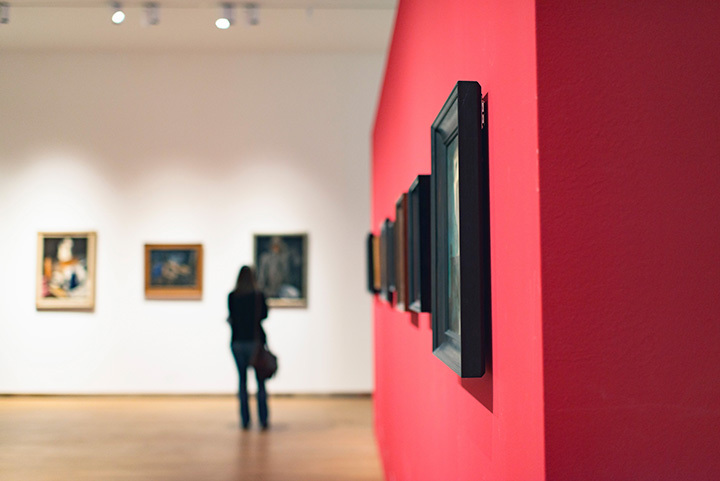 The goal of forming a distinguished comprehensive collection was replaced with a more specialized focus, exhibiting and collecting art produced from 1850 to the present. This focus was, and remains, unique in the region. In October 1980 the importance of collecting as part of the mission was sealed by a name change. "Akron Art Institute" became "Akron Art Museum." The following year the museum moved to another renovated historic downtown structure, the 1899 old post office building it still occupies. Over the next quarter century, the museum has continued to enrich the lives of those in Northeast Ohio and beyond through modern art. Its nationally recognized collection was documented through the publication of collection catalogues. Three acquisitions endowments were created to ensure the collection's future growth. A greatly enlarged general endowment provided increased, more stable funding, allowing the staff to undertake ambitious programs and exhibitions with national and even international impact. In 2007, its eighty-fifth year, the museum more than tripled in size with the opening of the new John S. and James L. Knight Building, which adjoins the 1899 building. Spanning three centuries, like the museum's collection, together they symbolize the museum's dual role as preserver of the past and herald of the future.